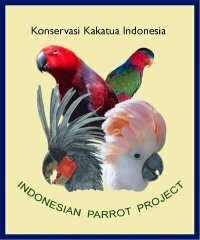 Provide alternate means of sustainable income to villagers in parrot-rich areas of Indonesia, who in turn will protect the birds from trapping. Such alternatives collecting nuts of the kenari tree and organizing eco-tours to our major sites of work (Seram Island and the Raja Ampat Islands off West Papua), which in turn will bring income to ex-trappers who now act as bird guides and porters. Direct provision of needed improvements to selected villages—such as improvements in schools, medical care, sanitation, and capital improvements. Projects to improve local pride of the villagers in “their” rare and beautiful avifauna. Funding of villagers to gather for us much-needed information on the ecology of selected birds. Funding of selected scientific studies, such as census or breeding analyses, resulting in published scientific data useful to help conserve these birds in the wild. Provision of educational unpublished information to members in order both to disseminate knowledge about the critical state of their populations, as well as to stimulate funding of our projects. Some will be in written articles; some via our web-site; some via public talks.